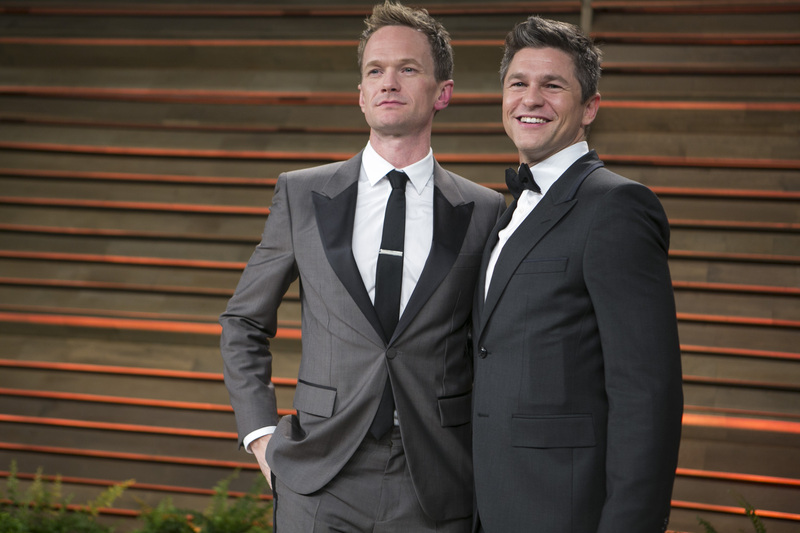 This year at the Met Gala, Neil Patrick Harris and David Burtka are looking as suave as a pair of 007 agents. Their ensembles may not match this year’s gala theme of “China: Through the Looking Glass,” but they are killing it in those matching suits. Last year, Harris and Burtka also wore suits, but they were sporting a very eerie, spooky vibe with Burtka’s harlequin vibes and Harris’ dark makeup and gelled bangs. Clearly, this couple loves to rock the uniquely cut, cropped blazers — judging from the fact that both last year’s and this year’s outfits integrated that unique piece. But at tonight's exhibit, on top of wearing a clean-cut blazer, they both went all out with the classy vibes by pairing their black tuxes with beautiful, shimmery bowties. Although from certain angles, the members of the adorable duo may look like they’re completely matching from head-to-toe, Harris actually has a light gold theme to his outfit while Burtka has silver highlights to his. And in contrast to their hairstyles last year, Harris gelled his hair upwards while Burtka lost his bleached front bangs, opting for a more spiked look. This year, their hair was done by Sonia Lee, the same hair artist who styled their locks for the 2015 Oscars. And they look absolutely dashing.